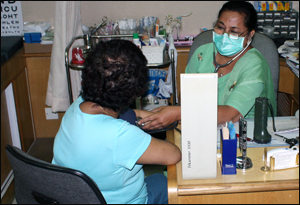 To provide comprehensive and efficient medical care for our patients in a caring and holistic manner. Drs Singh & Partners is well established group that has been delivering quality medical care and services for many years. The group comprises three medical practices as well as an X-Ray centre. Raffles City Medical Centre is a well established practice located in the central business district at Raffles City. It serves both corporate clients as well as private patients. Apollo Medical Centre is also a well-known and established medical practice in the heart of ‘Little India’ serving the local community for many years. The patients seen here encompass families, tourists, foreign workers and from the many small businesses in the area. Woodlands Medical Centre is a HDB family based practice that has been looking after its private patients in the neighborhood for more than 20 years. The Serangoon X-Ray Centre is located adjacent to the Apollo Medical Centre. It provides X-Ray services as well a one-stop centre for various medical examinations – work permits, employment pass, permanent resident, security guards and pre-employment. Each of our clinics and the group as a whole has earned a sound reputation for offering not only a professional service, but personalized, caring and competent patient care as well.